The risk of developing bowel cancer can be slashed by avoiding meat, new research suggests. 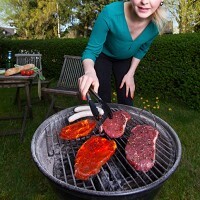 Vegetarians among the 77,000 people studied by scientists had a 22% lower risk of getting bowel cancer than carnivores. And those who shun meat but include fish in their diet fared better still, benefiting from a 43% reduced risk. The research team from Loma Linda University in the US found that compared to meat eaters, vegetarians had 29% and 19% lower rates of rectal cancer and colon cancer respectively. Dr Michael Orlich, who led the study, says the findings add to the evidence suggesting that people should think about following a vegetarian diet to boost their health. Previous studies show such diets can also cut the risk of hypertension, obesity and diabetes. Following a good diet can help people avoid the risk of disease, enabling them to take their health into their golden years. And that can mean they can carry on enjoying life by remaining active and continuing to go on holiday, armed with tailor-made travel insurance for the over-65s. An analysis of bowel cancer rates among vegans in the study showed their risk was 16% lower than carnivores, while those who ate meat occasionally lowered their chances of getting the disease by 8%. But the Meat Advisory Panel says previous UK studies have found similar rates of colo-rectal cancer among both vegetarians and those who eat meat. The panel's Dr Carrie Ruxton says that the average British adult eats 71g of red meat per day. She added that the Scientific Advisory Committee on Nutrition had concluded in 2010 that a diet containing up to 70g of red meat per day does not raise the risk of colo-rectal cancer. She said the new study would not change UK policy, adding that steps were already being taken to keep the consumption of red meat at recommended levels. The new US study is published in the Jama Internal Medicine journal.